In the spirit of “shot of the tournament”-type montages that are shown towards the end of major sporting events, we thought it would be fun to doff our caps to the X Factor producers by selecting our top ten favourite examples this year of how they have nudged the public vote towards their desired outcomes. There are plenty of seminal moments we’ve left off this list, notably bullygate, either because we weren’t sure what they were trying to achieve or they didn’t seem to succeed. These are examples where the intention seemed clear, and the effect successful. They discovered an effective new way to assassinate groups this year – imply that there is tension about who gets to be thought of as the lead singer. As part of the many tactics they used to strangle Nu Vibe in week 1, Louis said in his comments: “Ashford, you’re the main man”. This contrasted sharply with Gary’s praise for how all four members of The Risk shared the vocal load. This fed into a narrative in the tabloids and Nu Vibe’s VT about the group members not getting on well. There had been no such rumours about The Risk – quite the contrary. So it came out of the blue when their fine bromance was brought to an abrupt halt by Louis in week 5 with: “Charlie, you’re the main man”. Gary followed this up by implying that all the other band members were refusing to acknowledge Charlie’s lead singership. The Risk sank like a stone to be automatically eliminated after finishing bottom of the public vote. It came as a major surprise, then, when Gary effectively said “Perrie, you’re the main man” to Little Mix last Saturday. Were producers intending to dampen their support, or had Gary gone all mujahideen and turned on those who trained him? Or are we being lined up for a show-stopping performance from Perrie in the final? Our friend Richard at Betsfactor has spotted a recurring theme in VTs when the intention is to dampen support for an act – subtly suggest that nobody from that act’s hometown is particularly interested in them. This is presumably intended to plant the thought in viewers’ minds that if the people we would expect to be most enthusiastic about an act aren’t bothered, why should the rest of us be? The classic example of the genre comes in at number 2 on our list below, but this one is also worth an honourable mention. In the week that Kitty ends up departing, her VT starts with her telling us she “doesn’t have as big a fanbase” as some other acts. We discover she is from Cheltenham, hardly a place with a strong regional identity, and that her family have started “Operation Kitty” to drum up support. Operation Kitty appears to consist of, as Richard puts it, “one geeky looking, middle aged dad… wearing a sandwich board and pestering Cheltenham shoppers”. We see people trying politely to ignore him as he cuts a lonely figure outside H Samuel in the gathering gloom. Louis Walsh must have been paying attention in Latin class at school, for he clearly knows the difference between the vocative tense and the present tense. The judge who’s famous for exhorting everyone in Ireland (or, indeed, any other named locale) to “pick up the phone” instead told Janet Devlin in week 8 that everyone in Ireland “is picking up the phone”. A subtle difference, but a devastating one as it completely inverts the message. “I want everyone in Ireland to pick up the phone” = “this act needs your support”; “everyone in Ireland is picking up the phone” = “this act has loads of support and doesn’t need yours”. If you’ve ever dawdled on a late-night train when it’s reached its final stop, you may have heard an announcement along the lines of “this train has reached its final destination and is about to be taken out of service. Would all remaining passengers kindly get off now”. Johnny Robinson’s treatment in week 4 carried a similar message. After the likeable Londoner had rightly brought the house down with ‘I Believe In A Thing Called Love’ in week 3, the appearance of a tabloid story the following week alleging an incapacity benefits scam hinted that producers might be looking to dampen his support. Sure enough, Johnny’s week 4 VT had a warmly valedictory feel. As we see Johnny being mobbed by wellwishers, he tells us “when I was growing up, I was never popular or accepted”, but “now it’s turned around”, and “I’m starting to feel quite popular”. At the end of his performance of ‘This Ole Devil Called Love’, his long-time critic Gary Barlow gets up and kisses him. Adored by the public, kissed by Gary Barlow. What is left now for Johnny to achieve? In other words: “Johnny Robinson has reached the end of his journey. Would all remaining voters kindly get off”. After the week 4 softening up, the week 5 VT was Johnny’s knockout punch. We again got the warmly valedictory end-of-journey vibe, with Johnny VTing about how lucky he feels to have been kept in for so long, and his interactions with the dancers demonstrating how popular he has become. But it is Louis who delivers the coup de grace. One of the 28 tactics used to assassinate Wagner last year was Louis talking explicitly about him making it to the final. The same tactic is used again, as Louis says to camera: “I believe that Johnny can go all the way, I so do… the public love him”. Later, we see him saying to Johnny “I believe you can go all the way in this competition”. The effect is to suggest to supporters that he must be doing really well in the vote for Louis to be talking this way, and therefore they probably don’t really need to throw a vote his way. The next night, Johnny was out of the competition. Gary Barlow accused the Welsh lass of being a cruise ship singer in week 2. Sami probably didn’t endear herself to producers by wearing the label with pride and stating her admiration for Jane McDonald, the high priestess of cruise ship singers. So how is Sami treated the following week? In her VT, she explains that she wants to get away from the cruise ship singer tag (just to remind us that she’s been described this way). She’s not happy with her song choice, but mentor Louis, who has defended her from the cruise ship line, is insistent. The song in question? It’s karaoke / cruise ship staple, Cher’s ‘If I Could Turn Back Time’. The memorable original video to the song is, of course, set on a ship. When Misha B’s birth mother decided she wanted to get back in touch with her daughter, she chose the obvious way to do it: no, not a quiet phone call to X Factor HQ, but an open letter to Now magazine. By happy coincidence, this occurred in the week when Misha was most in need of a boost, having just been dumped in the bottom two for the second time. By even happier coincidence, Misha’s mentor Kelly Rowland was in the “exact same position” with her father. And by happiest coincidence of all, when Misha and Kelly emotionally bonded over their shared experience of this intensely private family grief, cameras just happened to be there to record it from three different angles for her week 7 VT. The result? Misha bounces through to week 8. 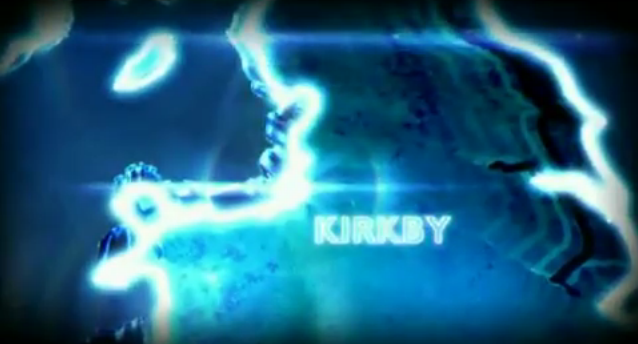 …only this time Craig is no longer from Liverpool (population 800,000), but Kirkby (population 40,000). Producers must have been tempted just to put up his postcode. Poor old Sophie Habibis – it was painful to watch. Sophie’s week 4 VT shows her in a taxi heading to visit her North London home. She tells us “the X Factor is such a big thing, you don’t really realise how big it is until you go back home”. Sophie pauses outside her hometown pub and points out the poster in a doorway, urging people to support her. She goes inside, where she is greeted enthusiastically by… one person. They sit down for a Coke and an orange juice. In a half-empty pub. “Everyone is supporting you, everyone,” Sophie’s friend assures her, as we see a handful of people in the background completely ignoring them. Later in the VT, we see a headline from a local newspaper informing us that Sophie is “Popular, bubbly”. It looks like the kind of lukewarm, generic epithets you would trot out about the victim of a shooting. Which, actually…. ‘Daisy Girl’, ‘Tank Ride‘, ‘3am‘ – nobody knows better than US political consultants how to manipulate public opinion through brief television spots. Even the best of them would surely have been proud of ‘Insecure Jesy‘, the week 4 VT which preceded Little Mix’s ‘ET’ and set them on their way to the final. How did producers do it? Were they just lucky enough to have the cameras rolling when Jesy broke down in tears about people on the internet commenting on her weight? Did they sit the girls down and say “time to film your VT, girls. Here, we’ve compiled some press clippings for you”? Had they even, as Sofabet commenter abs suggests, been planning such a moment right the start, when they put Jesy together with three slimmer girls to form a group? Whether calculated or serendipitous, the result was what Sofabet commenter fiveleaves rightly called “one of the best vote-getting VTs I’ve ever seen on this show”. They even reprised it in week 8, as Jesy told a Radio 1 DJ “I’m not going on a diet… your insecurities are what make you who you are” (they really aren’t, Jesy) before breaking down in tears during ‘Beautiful’. Agree or disagree with our list? Which ones did you enjoy that we’ve missed? Do let us know in the comments box below. – in answer to TimB on the last thread, we’re not planning to write our final preview until we know who the duettists are. – we’ve noticed in the last couple of days a minority of the posts in the comments box getting unpleasant, either about the acts or other commenters. We deleted a couple of exchanges because we want to keep the tone light, respectful and good-humoured. We don’t like deleting comments, but one of the great strengths of Sofabet is that the comments section has become such a pleasure to read with so many insightful voices offering analysis and commentary, and we’d like to keep it that way. – if you enjoy Dug’s comments as much as we do, don’t miss his latest, just posted right at the end of the last thread. I must admit there were days I’d look on here and feel like it was Digital Spy! This is a sensational post! 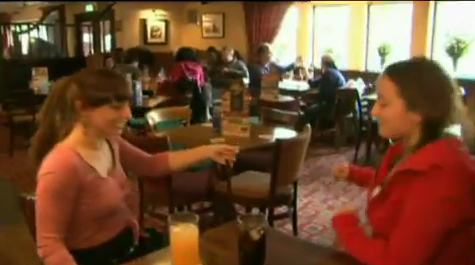 Love that you got a screen shot of Sophie in that pub, shows it even better. I hope you don’t mind the plug – Today I’m just in the middle of revealing one that might have been a new entry in your Top Ten. It’s all about hidden stars and Marcus. But if smokey Red and Black can’t make it in, what will! Loving your big-tease reveal on the hidden stars! Wonderful stuff. Hi Andrew and Dan i understand totally why you deleted alot of my comments recently as even tho i think i made some pretty good points it did sound like i was attacking other commenters on the site which is wrong and i should think before i write. Id like to think this comment will be accepted and my view on things. My scenerio so far has worked perfectly for amelia to win the show. misha and janet were bottom 2 and janet went home i was correct there. misha would be on her last legs and if there was no sing off she would go home which was correct to. Im glad people are now taking amelia very seriously i think simon on this who makes alot of good points is finally taking amelia seriously to he used to call her amelia silly not he calls her by her real name and says she is a ‘threat’ i also agree with his comments about little mix i dont think they will win either and it will come down to amelia and marcus for the big prize. I also heard that there is no text voting for the final which means little mix surely would suffer the most as alot of teens would vote by mobile.im from ireland and ringing from mobile costs just about 1 euro which is very steep indeed so i cant see little mix fans voting as much for them if they put on performances like they did last week. but we will see amelia for win for me and goodluck to everyone else with there bets. But I’m still in awe of how you spotted they were supporting Frankie through the double elimination. And you were the lone voice saying this was designed to keep him in. And you were absolutely right. I still can’t see it looking back, but you called it right against everyone else – if ever something deserved to be recognised in such a list, it’s that. Brilliant post! I was laughing out loud whilst eating my lunch over the Kitty and Sophie Habibis photos. No mention of the “You’re like a secretary who sings at the weekend” comment which is my quote of the series for sure! lol perhaps if the play this in the final instead of marcus performing some people will fail to notice the difference. I’m afraid the best vote-getting VT still may come on Saturday if they decide to show Amelia’s “battle against diabetes”. I would even say, if they air that VT it might mean game over (Amelia wins). Anyone agree ? I dont think it would help amelia chances of winning the show if they showed the vt of her diabetes because if they did then they probably would show her inject herself etc and people i dont think would be to happy with that kinda sympathy vote however saying that it did work for misha but i think the final is a much bigger thing i think her vt should be about her winning to help her dad who was bankrupt and she wants to win it for her family plus a journey on how she has made an amazing comebacking to the show like she never even left it.i think that could help her votes. i think amelia is the only one left in the show capable of using a sympathy card little mix have used there 1 up plus gary barlow said marcus wont use the sympathy vote so if he did then it would look rather hyprocritcally on his side. *has 1 sympathy card left. *amelia has clearly shown she is better with 2 songs than the other 2 left in the show i think little mix struggled since it went up to 2 songs.with more songs in the final could it get better? boki what do you think of amelias chances of winning.i always had amelia as the winner but i do have my doubts with the little mix machine it seems to be gathering alot of support? What I think of her winning chances? You are asking the wrong guy buddy, outright is not my strongest market, I got it all wrong except Marcus (not my idea of course) whose free bet I’m using now to shuffle between the finalists. I don’t care much who will win, already made enough in qualies. But my opinion is: there are now 3 finalists and all of them can win, we are just clueless who it will be. That doesn’t mean it’s a tight battle, just that we are kept in the dark. Amelia was in the bottom 2 already (only fact we know from the finalists) so she will need some more push in order to win. It remains to be seen if they will push her or not. I’m not sure the ‘you’re the main man’ tactic is always used to do a group down. Remember JLS and how Aston did more and more singing as the weeks went on. It never did them any harm! For me the most clinical assassination was Craig. He wanted out, they calmed him down, then they picked him off on their own terms. I agree with the jls comparisions, I had a discussion with a friend, and I told her they really started to showcase perrie’s voice more around the ET performance, before then she really wasnt showcased much. I don’t agree that they need a lead singer, but I would agree that even groups who didnt have a lead singer, there was alway a person who was the focal point of the vocals, like Mel C with the spice girls, Nadine with girls aloud, american groups like TLC, Tboz, so I can see Little Mix not having a lead singer, but making Perrie the focal point of the vocals, if that makes sense. It certainly does. And that kind of thing gives the canny producer all sorts of options. I think a lot of this article is supposition. For example, the “ireland is voting for you” I think was just louis’ turn of phrase. In fact, you could argue that it was a well-known sales trick to help her, for example, the same way that door to door sales people say, “well, number 46 and 53 have had it done, a lot of your neighbours are really interested”. nah can’t agree. louis was nowhere near as vocal in getting out the irish vote as he has been in the past. i bet if you count back he mentioned manchester way more times than ireland and never did the ‘ireland i want you to pick up your phones’ plea other than in a muted aspect. he often didn’t refer to janet as irish but ‘celtic’ instead! in fact the ‘ireland is voting for you’ has a negative effect twofold as it makes the core irish vote sound safe, but also instils in the mind of the english voters that she was receiving unfair regional bolstering. i guess it may be just wishfull thinking on their behalf but interesting they have not put either the little-muffins or the boy wonder on there,but for me i would love this to happen ,i really really would,it would make my year of watching this show worth while if only to watch tusilas face when she does not win. Little Mix has a winner’s single available on cduniverse, and oddly janet has a winner’s single available on Amazon. Your number 3, will stay with me for a long time. That image of Craig, in those unflattering jeans, stood at a bus stop in downtown Kirkby gazing in to the distance like a Lost Boy was priceless. I bet he didn’t realize, until he looked back at it, how he was being played for a patsy. Now #fixfactor is trending worldwide, and Amelia Lily’s is trending worldwide, this little blunder imo just cost her the title, this will do more harm then help, now Xfactor will make a example out of her, and she will be the first one gone on Saturday, so they can say look Xfactor isnt fix, she’s eliminated. And someone else mention that basically they go in alphabetical order, and that’s why her single is up there first, and that the other two will be out up. Have to be honest, I highly doubt she was going to win before. Of course this has nothing to do with a fix. 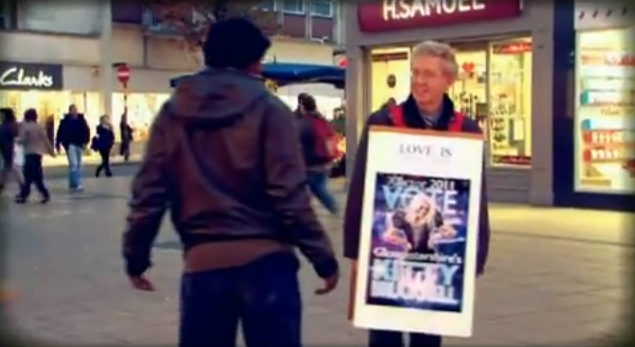 Why on earth would the producers tell HMV that the show is a fix and Amelia Lily is going to win. This was just a mistake on HMV’s behalf that has allowed Little Mix fans to believe that the show is fixing in Amelia’s favour rather than their’s! I agree completely, I just mean X factor will probably do all they can now Saturday to prove it wasn’t a fix to those who believe it, and Amelia will more then likely leave first. Brilliant article yet again Andrew (and Daniel too). SOFABET has quickly become my favourite find on the Internet. Much kudos from me and many thanks boys! It is in itself our very own DOUBLE 0 ‘Boot Camp’, providing us with the very best intensive training, ‘intelligent’ enemy intelligence and the latest secret weaponry from TWO Q’s to help us beat the bookies. In fact, all we haven’t got here is an Aston Martin DB5 with an ‘ejector seat’ to flip Kelly out of the roof (and back to the USA) to do a classic ‘face plant’ on the tarmac of Route 66. I now have her infamous “HELLO HELLO HELLO HELLO” as my alarm call ring-tone on my mobile as it sure as hell gets me up and out of bed ‘straight off’ in the morning. Great meeting all you intelligent and funny commenters too. I have had some reet good belly laughs at some of the comms, which has been a tonic for me and better than any pills and potions that the Docs could give me whilst I have been in recovery from a recent heart attack. Fair request too Andrew (first up comment above). Message understood and guilty as charged here too with apologies from the heart of my bottom for ‘you know what’ (mission accomplished there and completed without getting a face-full of ‘trifle’). If ‘everyone’ here sings from that same hymn sheet there will be no cause for anyone to get riled and try to vent their spleen (and therefore no need to keep you unnecessarily busy moderating comms). Thanks too to fellow ‘Big’ Little Mixer ‘taichou’ from abroad who kept me distracted and occupied, thus helping me through a ‘very’ painful and sleepless night where my recent ‘tooth extraction’ went wrong and turned into what is known as a ‘dry socket’, (emergency Dentist today and sent home with a pile of antibiotics and strict instructions for zero liquid celebrations until the final of X-Factor). Whilst complimenting you on your own written English ‘taichou’, I found out that my own was turning into a new version of ‘Klingon’ as I fell into a welcome coma, realising that although Firewater and pain killers don’t mix very well, it did the job nicely, lol. I am only human and was desperate for some painless kip. As Winston Churchill once answered when a lady at a dinner party accused him of being drunk. “Yes Madam and you are ugly, but in the morning I shall be sober”. I am now off to watch HEARTBEAT on tv to take me back a while in time to listen to some decent music and to help me remember how simple and ‘uncomplicated’ life was before X-FACTOR. Hi taichou. Yeah saw that too and JAN even said it in LM/MC order if I remember right. 1D have also left strict instructions for all their fans to vote for the ‘right’ act. The tension of waiting is draining me now and I have a gig on Saturday night too, so can’t see it until I get home. Here’s a little prezzy for you if you haven’t seen the site before. Not always an accurate guide to phone votes, but still a heartwarming indication of what support for who. Thanks again for last night BTW, fairly pain free day today as the super strength anti-B’s have kicked in and it’s an early night for me to catch up on those lost ZZZZZZd’s too I reckon. Out for an hour now so catch you later. I am new to this but I read this site all the time and I want to share something interesting. I had a bet on Marcus and Misha to be the bottom two on Week 9 final. There was no bottom two so I thought the bet would be void. I contacted Boylesport who informed me that they contacted the trading people who informed them that the official bottom two was Amelia and Misha. It worries me for my eventual winner bet but I wanted to share it a this site has been a good resource for me in the past. However it cannot be true because if BOYLES had access to that information nd it was true, they would have AMELIA as the outsider of three instead of the 2/1 second favourite. Whicheverr, sail on the Good Ship! They might gladly keep her shorter and draw money onto her. The book might be weighed by the amount of money they have laid for Amelia. You deserve the good ship to win in fairness. After some dispute the bet was voided since the outcome was not known as it was totally random, only thing know is that misha was bottom. My feeling is:- Little Mix (Minx would be better), Marcus, Lily the Pink. Thats what I thought. Every year until this one I have made alot of money on X factor betting but this one has thrown me by suprise. Also because the bottom 2 bet was taken off their website. I thought it would be void. Can they get access to this information or are they spinning me a yarn because they dont want me to have my money back (It was only a fiver at 16-1). My big money is on a Little Mix win and I have had a forecast on Little Mix > Amelia Lily. Whichever way I agree Simon, it doesn’t tie in with their prospective odds for the final unless she is gaining massively in popularity. Hi Zoe, it’s an odd one, isn’t it? Is it possible they are settling the bet on the last two acts standing on stage? Amelia was last to be called safe, iirc. Would be a silly way to settle it, but I’m struggling to think of any other explanation. Hey zoe i cant imagine any bookies telling you the bottom 2 in the votes i think that is a simply none goer.however if they settled your bet on amelia and misha been bottom 2 just because they were the final 2 standing i think its a poor decsion and you should get back your money as boylesports were clearly the only bookies to offer odds on bottom 2 i think they should of voided the bet. i also had problems with boylesports before i had 2 shoes to go out on that night and they did yet they split it down to 1/4 for my winnings because 4 went out even tho it shouldnt matter how many went that night as i said 2 shoes to be eliminated which they were it shouldnt of been split down just because more left. I agree with Stephen here – at least so far as the bet is void. I would take them all the way on this, I really would because there is no way yhtey will know the bottom two other than the bottom one. I’m so looking forward to bashing them on Saturday evening. Talking of bashing, has anyone heard from “Mark the bookie basher” recently? Used to enjoy his posts. Great article the trash Eurobeat was bit of classic also. Strange going on’s re HMV website today. A genuine error? Hard to know, Have had a look on Twitter etc. This backtrack of they putting up all three finalists is v strange as they will have to refund to those who don’t order Amelia. Why didn’t Syco deliver the three together? Maybe a genuine error but bit a worry? Just when we all thought it couldn’t get any worse this year? Oops, you beat me to it, well spotted before me! Totally off topic, but has anybody else noticed that HMV are already peddling Amelia Lily’s X Factor Winner CD? Just posted about it Matt. Very strange! Yes Matt- just about everyone and its going to harm her chances horribly because it follows a similar “leak” when it was announced she was back before she was. That was supposed to be a “mistake” too but this time although it probably is, it just isn’t going to wash with the public. Here are tomorrow’s paper’s take on it. I have seen HMV’s statement, not convincing in my books. To make it even more dubious on Matts link above go to the page, on the left click the Syco Box and see the results! How they going to explain that one away? Why didn’t Syco deliver the three as I said above?? Well whatever it was, if it was a genuine error like I mentioned on another board Amelia will be made a example of just to prove that there wasn’t a fix, a big show like Xfactor the last thing u want is for people to think your show is fixed, and this is the second time with amelia the first being when she was voted back in, and people were saying the news broke that she was back in are something before the votes were done? So now Saturday u can bet they will try and get rid of her first just to show people hey look the show isnt fixed she is the first one gone, this little blunder did more harm then help her my imo. If u go to the site now and type in Amelia’s name it doesnt come up anymore. Under the syco result maybe its like that, because the other two were an error. And when u go to the site now and search amelia her name isnt there anymore. When was that posted though, maybe Amazon went early to get market share and with all of them nobody took any notice. On the HMV site I just had hunch to check the Syco listing also. It would be listed at Syco section first then Homepage most likely in a normal days work. It is a worry as to set up stuff for pre sale on the homepage is not exactly any old piece of product being added to the site. Maybe publish button was hit instead of save! Yea, I just think if it was some fix, they wouldn’t tell huge amounts of people especially HMV, Xfactor is a huge show if it was fixed that would be trouble for them, I think people will overthink the whole situation, but I feel it was more then likely just a huge error, mess-up that just might have hurt whatever chances Amelia did have at winning, because now Xfactor will definitely go out of its way to prove there is no fix, and get her out first Saturday. Sorry Daniel, the HMV thing distracted from reviewing the post properly. Class. Craig’s shrinking hometown is just amazing so well spotted. The forecast is looking bit better if this HMV Amelia thing is going to gather traction which it seems to be. Middle England Mums/Gary fans/ Good Ship V the kids and the steam rolling real dark horses. Can’t wait for your article on the final. I really want to bash the bookies on this one but they want nothing to do with it. Just saw a tweet that sums it all up, “Seems like HMV have made a Little Mix up” nite. Just picked this HMV story up on Yahoo news. Storm in a teacup and nowt to worry about as I reckon it seems like PRE-ORDERS only anyway (with only the winning one to be sold). In my mind, as an ex-shop owner, it is just a sensible ‘market test’ to see what levels of stock to order so that they are not short or over-stocked (in a recession). “We have just received this from HMV: “It’s just come to light that there was a technical issue uploading details of two of the artists to our site, which meant that only Amelia Lily’s details appeared. However, these have been temporarily removed so that all three finalists details will go up simultaneously tomorrow morning. Once up, fans will be able to pre-order the single by their preferred finalist but only orders for the eventual winner’s single will be processed and charged for. Mmmmm, interesting. But there’s no S without F.
OH DEAR !! HERE WE GO AGAIN. Watch your betting on Christmas No1 single folks as the ‘RAGE AGAINST’ has started all over again but this time with ‘SMELLS LIKE TEEN SPIRIT’ by NIRVANA. The facebook site already has 110,000 support likes and there is a brilliant pic of LOUIS’ head photo-shopped onto a baby’s body in a swimming pool. Pretty sure the Military Wives song will get to Number One anyway. Jake. I suppose they will have had their ‘marching orders’ to do so. I do agree with you, Pete, that after the first year, these campaigns to knock the Xfactor Champ off their Christmas no.1 perch is rather sad – however, each to their own. We all know that pop music – if it isn’t already dead, then it is dying, and many people out there put alot of the blame at Cowell’s door. They want music with depth and intelligence, yet all we get from Cowell and his band of brothers is soulless, vapid, shallow pop. With people these days struggling to feed themselves and keep warm, this type of mush says nothing to people about their lives. When people are struggling to pay their heating bills, to have Cher Lloyd belting out nonsense like Swagger Jagger is faintly ridiculous. However, I take your point on bored with humbleness and respect. I’ve finally got round to posting my graph and prediction from the weekend. Please click here for details. It’s quite a wordy post, but my main point is a controversial one that Amelia Lily is way behind the other two, and that needs a lot of words to justify given the current betting odds! Very ionteresting Tfypkar and clearly an inspirational assessment. It will be really interesting to view your findings against the voting figures when these are released. However I l believe there is everything to play for because the public will vote on the performances of the live acts. Assuming the 10.0000 audience are mixed fans, there will be a huge noise at the final, and it is the act that most cuts the mustard and connects with the home bluerince jury that is going to win this. I cant see LM doing it unless they perform well above their weight – a bucket of tears and a chubby arse or too are not enough to win this show at least not yet. Of course I may be wrong – the bookies reckon seriously so havinh MARCUS out to 11/4 but he doesn’t sound any different to when he was 25/1 and he is still in the competition. Let’s wait for the duet announcement. I wonder who is getting Coldplay? So the USA thing was me, and yes – sometimes it’s not exactly spot on. Still, I haven’t put as much time into the USA, so it’s entirely possible there are some tweaks I could do to get better results, or it could just be an indicator that Josh is at risk. Hey tpkfar nice post and interesting i always takes these things on board but i have 2 questions for you if you wouldnt mind answering. 1st question is what do you base your stats on is it just social media or other ways of finding out whats going to happen as i always say social media is a small pond compared to the 10,millions viewers on the night.so do you take that into consideration with your stats. 2nd question is i know you have predicted alot right latly but one thing that always sticks out to me is your post on the michael jackson top 7 usa x factor you pretty much said ‘josh is a dead cert to go’ and he had a much lower green bar than amelia ever had yet he never left the show and one of your highest green bars was drew and she left and was in the bottom 2 but you failed to mention her but you did mention chris who also was never in the bottom 2 or bottom 3.
you pretty much ruled out josh in the usa factor yet he is one of the favourites to win just like amelia is but both have low stats on your page.what went wrong with josh . google insights agrees littlemix is way ahead but is showing that AM has slightly overtaken MC. xfactor tracker has it reversed! imho it will still depend on the night and the floating voter but it’s interesting that it took a monumental effort (and fluffed lines) to get JD into the bottom 2 when she had a similar lead to littlemix. i just can’t see an effort to damage the girls to the extent it would be required? I base my stats exclusively on those posted at Toby’s site but try to bridge the gap between what people are tweeting and how they are voting. Your second question is about the X Factor USA which I know nothing about sorry – if Toby is around he might be able to answer that one. Could a similar method work on another country? I guess so, but I plan to wait for the voting figures from this series to see if I was anywhere close before looking wider. Unless my source data changes, I’ll make one prediction a week, and stand or fall on it. Another interesting aricle guys. I remember #2 as it seemed like that week they went all out to get Sophie in the bottom 2. It’s funny because public indifference would probably have seen her out in the next couple of weeks anyway, but I guess they were anticipating Frankie landing there. I wonder if there’s a teeny bit of regret on the producers’ side considering how things turned out with Janet and the comments from various parties that Sophie sounds great on the charity single. I thought that #1 was plumbing a new low by X-Factor standards. Maybe this will replace the dead relative sob story that was used up in previous series. At least the producers (and us punters) have seen how affective it can be. It’s amazing how much damage can be done by the HMV Amelia fix story. There are enough conspiracy theorists out there to believe it, and within a few hours a (very probable ) error by HMV becomes widely circulated as the truth. Several already in my office today have mentioned it, and they were inclined to think it was all true. It can only help little mix at this stage. As far as the bookies are concerned the HMV “slip” is being taken seriously and at face value and it has caused them to harden AMELIA’s odds – she is now 2/1 from 5/2-9/4ish and shortening. All three of these acts cant win! This is going to depend on the performance on the night and who the acts are going to duet with. Bit of info on the HMV thing. Take it from me, right now there are three winners singles recorded, artwork done and so on sitting with iTunes, HMV etc. All three contestants will also have recorded “thanks for voting for me to be the winner” message. It’s the only way that come midnight on Sunday the right song is out there. These HMV slips will happen occasionally and that will be all it is. So it’s not a sign of any X Factor fix but could change the odds. Does she look like a winner now? More votes! Does it look like a fix and she is favoured? Less votes. If the X Factor has a firm grasp they’d release all 3 artworks to prove this but let’s be honest… they don’t! I agree, EM – I’m amazed so many people are inclined to beieve there’s anything more to it. If you were going to fix the result, would you really trust the HMV webmaster with this piece of intelligence? Hope I didn’t give the impression that in with the conspiracy theorists. I’m 100% in the camp that thinks its nonsense. It would be interesting to see a graph showing negative comment today. Cannot believe that the Amelia camp will be anything other than very upset about the story. Don’t worry, Malcolm, was referring to your coworkers not you! Thanks for passing that on. We should be running this show. Imagine! I actually got into betting on the X Factor after reading a comment from Derren Brown. I can’t find the exact quote but he said that he loved the TV show and thought a lot of what they did was similar to what he does, making people feel like they have a free choice when in fact they’re influenced to feel like that. I initially took that to mean the fact they made the public feel like they are in control with voting but in the end it’s the show which decides who’s in and who’s out. However this year there are so many subliminal messages as well as the more overt ones that you must wonder whether they have a psychologist working on it. I got into it for the exact same reason (though without having seen the Derren Brown quote) – it’s such good fun trying to spot what they might be getting up to. Imagine how much more fun they must have coming up with all this stuff! EM. You ‘wonder’ right. I am a huge fan of Derren Brown too and I am also friends with leading ex 80’s Theater/stage/tv Hypnotist (now living abroad and who was also the one who inspired his copycat Paul McKenna). X-Factor IS actually a form of ‘mass Hypnosis’. Better called “response to suggestion” (as Derren has clearly demonstrated over and over when he explains it all after the show when we all then grit our teeth smack our foreheads on how we managed to miss the obvious). My friend too agrees on the ‘blatant’ use of ‘legal’ subliminals that X-Factor incorporate to ‘influence’ viewers. The deliberate ‘scripted phrases’ used by Judges, act placement and stage sets etc, are all classic hallmarks (all obvious and covered here too many times). I emphasised the word ‘legal’ as the other form of inserting ‘nano second’ subliminal ‘flash frames’ in tv adverts etc was banned. (well, they say it is banned, but go and have at peek at some ‘eye openers’ on YouTube). I ‘know you will because you are now in my power,lol. doo doo doo doo, doo doo doo doo. Most famous being before the ban was at the flix years ago when we all rushed out to the foyer in the break feeling mega thirsty to buy a KIORA orange drink. I mentioned Derren in one of my contributions a bit back and wondered too if indeed HE or some other expert consultant have been used to help plan the show (as it is a very deep subject and has to be controlled ‘exactly right’ to succeed properly). Here is something to think about. Ever been in Tesco (or Asda, as other good shops are also available) and stood in front of the array of ‘washing powders’ (or other product) scratching your head weighing up which one is the best ? (They are all basically the same anyway as our local soap factory makes for all the top brands equally). It’s your brain running through all the advert options for who has done the best selling job on you (best liked/remembered, memorable jingle, best box colour for you etc etc). Sometimes the ‘MORE’ annoying (or should I say ‘MEER’) the advert is, the more you remember it and automatically investigate it ‘first’ anyway when you need car insurance. You can also google a ‘colour chart’ that sales people use to sell (‘mood’) their particular product or to design a logo (great WHITE fluffy feathers SAINT HALO job XF did on MISHA there). It is reckoned that we are Hypnotised (response to suggestion) around 6,000 times a day in some form or other and yet we are unconsciously oblivious to it. Another interesting thing here. It is a well known fact that Stage Hypnotists rely on a fairly guaranteed ‘6% factor’ for a successful show. This being that only 6% of the audience are the most ‘usable’ subjects for their purpose, as they are classed as the most ‘easily influenced’ ones that they can also quickly get into that ‘deeper usable state’ (Somnambulistic state). Hence the general audience tests they use at the start of the show to wheedle them out. Now, thinking of that, are X-Factor aiming their (emotional blackmail) patronising ‘hypno-canon’ at that 6% of the nation to get an URGENT vote instruction frenzy going (kids being famously most easily influenced and as YouTube indicates, and where some are saving there mbl credits and intending to vote for LITTLE MIX 40 to 100 times for the final) ??? Apologies to the Sofabet guys if this is now miles off topic but I also wondered about Derren’s involvement. If not directly then he has a team of people who work on his effects and some of them are stunningly similar to those being employed on X Factor. Even more off topic the thing I love about Derren Brown most is that he sets himself up as a mind control, psychological guru but the vast majority of his stage show is actually magic tricks presented to look like thought control and influence. In essence he is Paul Daniels with a very different style. If not Derren’s own people, they must employ people who are into the same kind of stuff. Very true, though, the Paul Daniels comparison – a large part of his genius is making people think there’s something significantly more spooky going on than immense personal charisma plus old style smoke and mirrors. EM. And also like Paul Daniels, but with more hair and a Goaty. “Now THAT’S what you call magic. You’ll like this. Not a lot, but you’ll like it”. Well, we DO like it, because XF is so blinkin’ predictable for us to beat the bookies (with the help of SOFABET of course). Perhaps, in the HMV gaffe, the world of dirty tricks has come back to bite the X Factor. An inside source from X Factor is reported on Tellymix as saying on the HMV mistake “It is very unfair on Amelia who may suffer a backlash from viewers as a result. All we are asking for is a level playing field”. I nearly threw up (over reaction I know) but the comment did make me see red. When ever has the X Factor competition been a level playing field? Of course the comments may be a fabrication but it would be grossly unfair for Amelia: GROSSLY UNFAIR IF SHE WON. She has not participated in the competition on a level playing field with the other contestants. I wonder, with her underlying health problem, how well she really would have fared if she had to deal with the stresses and strains of the competition from the beginning. It appears to have taken its toll on Janet and perhaps some of the others too. In the eyes of the great British public it would be fairer if either Marcus or Little Mix won. I read with interest Richard Betsfactor article on Marcus and watched the video of Marcus singing My Girl. I did not watch the show at the weekend on principle. Richard mentions the stars in the back drop for Marcus but the glittering lights in the form of a crown behind him was pretty obvious too. It is worth taking a look. For me now he would be the most worthy winner. In addition, after viewing the video of the ‘Wishing on a Star’ single it is pretty obvious who were initially thought of as the best singers, namely Misha, Janet and Marcus, as they have the first three individual solo slots on the video. Sadly, Janet and Misha have gone so that only leaves Marcus. I am not sure how cohesive a singing unit Little Mix really are. On the ‘Wishing on a Star video, the redhead (Leigh-Anne?) looks rather non committal and stuck out on a limb. Isn’t she the young lady who fluffed her lines at the weekend? Perhaps she too is feeling the strain of the competition? Something Amelia has not had to deal with to the same extent! I will not be voting in the Final as I will not be watching. My votes for Janet are non transferrable anyway. But a little bit of me hopes Marcus will take the X Factor crown on Sunday. AnneMarie, I wanted a 100% dead cert star to be sure…. have a look at Marcus’ left hand. I have had another look Richard and I do see the star ring on Marcus left hand. But it was all those golden crowns that caught my attention. Brilliant and amusing articles from you. Keep it up! Interesting to see the Habibis nudge tactics, especially in light of a friend who lives in the same area as Amelia telling me flyers went out to the whole estate ahead of time telling people that Amelia and Kelly will be filming her back-to-visit-the-folks VT there today (Wed 7 Dec). Suggests the Producers are keen for hordes of screaming fans for Amelia’s visit, rather than a deserted pub! makes you wonder where LM are holding their ‘homecoming’? AnneMarie, I wanted a 100% dead cert star to be sure…. have a look at Marcus’ left hand…. Tellymix article: Amelia Lily suffering from laryngitis ahead of the final! Most interesting is the final comment in the article……The source added “Amelia looks older than she is but you’ve got to remember she’s just a little girl.” Is this the beginning of a steady flow of negative comments, true or not, about Amelia ahead of the weekend?? Little Mix went to all 4 girls hometowns, they went to high wycombe, they also went to romford were thousands showed up, and apparently it got a bit out of hand with some fans getting trampled Sk he girls had to leave early. And yesterday they stopped at south shields were they walked a red carpet, and performed for like 2000 people the tickets apparently sold out in like 15 mins they said 3500 more showed up but couldn’t get in without a ticket, Bu they did watch the girls walk the red carpet. They performed at Temple Park in south shields from the videos I’ve seen it looked pretty big. The week we said goodbye to Janet, the first words in her VT were “this week I’m going home”. I did enjoy Janet’s choice of singoff song as well. Don’t know if she or the show chose it, but “We’ll do it all on our own / We don’t need any help from anyone”. another well writen piece congrats..
to me the x-factors a catch 22 situation,no acts=no show.No show=no one to hear the acts. the problem for me this year more than any other is just how far this show and shows like this are prepaired to go in the name of “entertainment” and i do use that word loosly in this case,it use to be about finding a credable recording artist that would sell millions to the masses both in this country on others but now is purelly about profit and trying to out do other shows (i wont name it but its on the bbc around the same time)and thats where i find it all pretty pointless. its not just the shows fault for this but i blame the acts them selves for allowing themselves to be manipulated in this way just so they can have their 15 MINUTES OF FAME not so long ago winning a show like this would mean something,take leona lewis shes gone on to be one of this countries biggest artists in the last decade but since them NOTHING!!WHY! !this show is only a tallent show now and not a singing show for if it were them none of the remaining acts would make it they just aint that good,its purely a stage on which to show case your abilities in the hope that some people out there will like you enough to go buy what you make even if your fame lasts for a very short period and going on whats left in this years show it will be very short lived.Janet devlin was the only one on this years show how decided to buck the trend of being a controlled puppet and did what she believed in rather than what she was told to do by a show that is a control freak,and its this that cost her her place but left her with her integraty (and for some thats way more important than winning )but to be honest so many people now respect her for this than they did when she was on the show,hummmmm if only the others were not so gullable and stood up to the show itself then we would have a great show again. its just a real shame that this years show will go into the x-factor history books as the one that they wished they hadnt made, poor viewing figures and really poor press has maimed them forever,and no matter who wins they are going to be remembered for winning IN THE YEAR OF SHAME.Manipulation is nothing new i know but its been way to obvious this year and the public has seen though it,and it will taint the winner regardless. “Everyone in Ireland picks up the phone” = present (present simple, in some authorities).